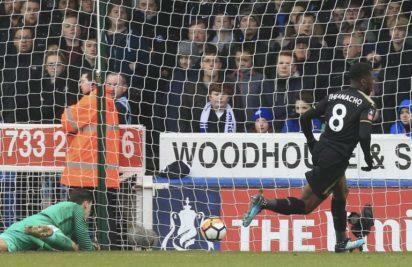 Kelechi Iheanacho scored his second brace in the month of January while Wilfred Ndidi scored deep in stoppage time to help Leicester City thrash Petersbrough United 5-1 in the FA Cup fourth round. Fellow African Fousseni Diabaté was also part of the rout as he grabbed a brace on his debut. Iheanacho who has not really enjoyed game time since joining the Foxes opened his account in the 12th minute with a fine solo effort from outside the box and completed his double by tapping in a fine cross from Christian Fuchs in the 29th. Ndidi completed the demolition in the 92nd minute. Iheanacho had earlier in the month of January against Fleetwood Town in the same competition scored a brace- one of them being the first ever VAR goal in England. 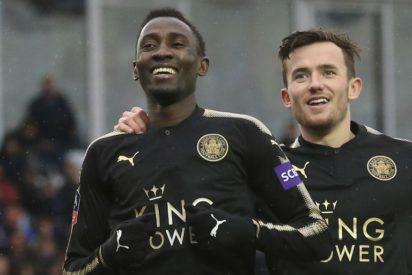 The post FA Cup: Iheanacho, Ndidi on song as Leicester ease into last 16 appeared first on Vanguard News.